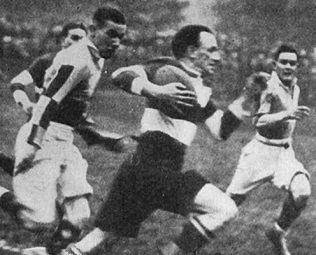 Norman Daniell was a winger with real pace who played for Gloucester from 1919 to 1924, scoring 53 tries in 116 appearances for the club. He was an athlete who usually started the season with a bang, as he was already in training and used to the hard ground. Norman Walter Daniell was born in Gloucester in 1895, one of three generations of Rugby footballers. 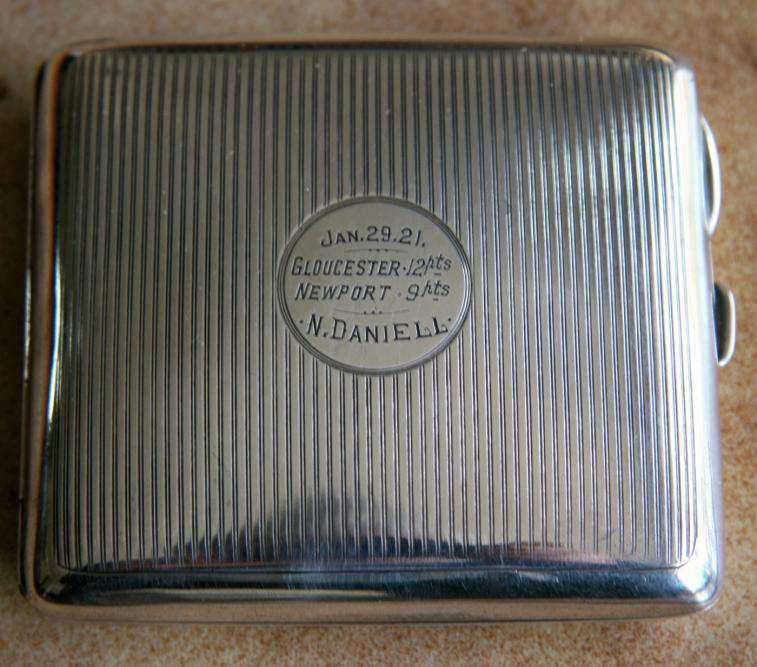 His father, Henry Daniell, was a well known athlete who appeared at events across the country and also played Rugby for Gloucester Hornets. His son Ken played for Gloucester and Gloucestershire. Norman served in the First World War and played for his regiment. He made his debut in 1919 for Gloucester United and played occasionally for the 1st XV that season. That season at Kingsholm Gloucester beat all four top Welsh clubs – Cardiff, Newport, Swansea and Llanelly. Norman played in all four games, scoring tries against Cardiff and Swansea. The greatest win was against Newport who, on January 29 1921, were still unbeaten that season. 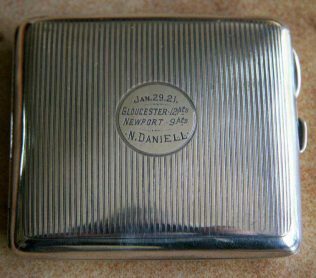 Bill Bailey of the Citizen raised funds by public subscription to present each member of the winning team with a silver cigarette case, commemorating the win. 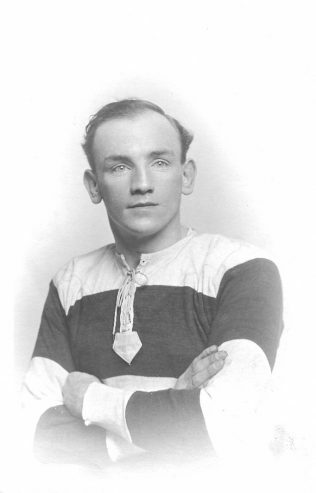 The following season, 1921-22, Daniell was again among the leading try scorers with 16, scoring a hat trick against Devonport Services and the only try in a 5-3 win over Cardiff. In 1922-23 he again scored against Cardiff in a narrow 11-8 defeat and featured strongly in a fine 11-3 victory over Oxford University although less prolific overall. Gloucester’s match against Harlequins at Kingsholm on 29 September 1923 was a tremendous game played at a great pace and watched by a large crowd. Gloucester won the game 14-10, Norman Daniell opening the scoring with a fine try. He again played his part in a victory over Newport that season. In April 1924 Norman Daniell injured his arm playing against Pontypool. He did not play for the first team again. A growing family and the death of Stan Bayliss the following January both contributed to his giving up the game in 1925.